Looks like Lindan from China still have what it takes to be the undisputed Champion after beating Lee Chong Wei from Malaysia. Well done to this gifted player. It will take a great effort for anyone to beat Lindan. 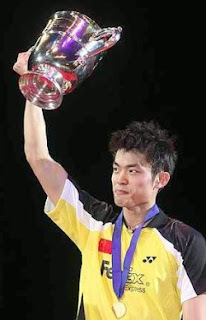 A great win for Lindan in All England 2009. A master at work. Well done to all the other Chinese players as well. A clean sweep of the entire tournament. A force to be reckon with.